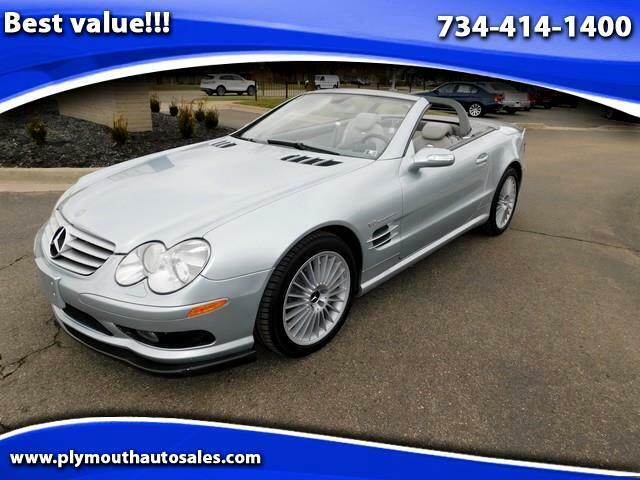 What a beautiful and just ton of fun to drive Mercedes sl55 AMG, around 650 HORSE POWER, Around $5000 in upgrates (ECM, TCM, SUPERCHARGER PULLEY and COOLER, HEADERS) vehicle has been driving around 1000 miles after these updates. Please see http://www.eurocharged.com for more info on these updates, You get both worlds on this one speed and comfort, it is absolutaly in excellent condition, owned by our dealerships owner. Message: Thought you might be interested in this 2005 Mercedes-Benz SL-Class.